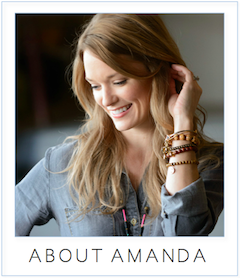 amanda mcclements & metrocurean: Oh, My? Oh, Yes. 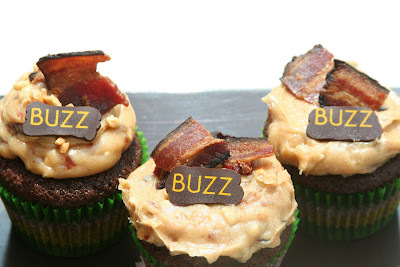 Lest you fear that the foodie obsession with bacon could be so fickle as to fade or do something rash like jump a shark, I submit for your consideration Buzz's cupcake of the month. Yes, that is a bacon garnish perched on top. Oh, and the frosting crowning pastry chef Josh Short's devil's food chocolate cake is peanut butter bacon. It's available through August at Buzz for $2.75. Dominic at SkilletDoux just posted this bit about Crop Bistro & Bar which features a Fig & Bacon Martini (picture at the link). As much of a bacon devotee and oft accused foodie as I may be, I just want to say "EEEWWWWWWW!" No they didn't. Can this top the 9:30 cupcake?! I have no choice but to go find out. Q- Would you believe me if I told you I ate both yesterday? Tight competition there. Saxdrop - Thanks for the link. Sounds like a cool drink. dcgent - Nice to hear you're reading from 'cross the pond! Sorry to hear you're thousands of miles from these cupcakes.